I believe that we’re all creative and it’s important that we recognize our creativity and that we exercise it every day. For me, creativity is as important as breathing. I could not survive without it. It adds color and fun and richness to my life. I don’t mean that I have to make a mosaic every day. I’m talking about allowing my imagination to permeate my life which allows my thinking and actions to be creative. One small example is doodling. 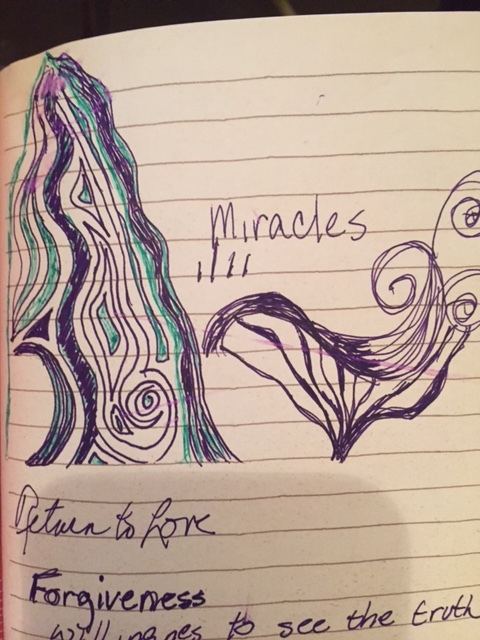 Do you doodle during meetings or phone calls or watching TV? I do. I have found that doodling helps me to concentrate. I usually have a pen that I love with me and I like to use different ink colors so my doodles and writing look pretty. It just makes me feel good. I find it so interesting that people ask to see my doodles but very few start doodling themselves. It’s so easy, you just have to start making marks on the paper – lines or circles or dots…. No one ever has to see what you did except you. You can even doodle in private. My mother always doodled while she talked on the phone in the old days before cell phones.There would be little pieces of paper by the phone with her latest creations. How about while you’re watching television? Just get a piece of paper and a pencil or pen and start moving it around. I know you’ll love it and you’ll be addicted to doodling before you know it!